Cooking Matters is a fun, cooking and nutrition course for youth in grades 5-8 offered at St. Peter’s Episcopal Church for 6 nights throughout the fall season. Youth learn to chop, dice and mince like a chef from those TV cooking shows. Each week youth also receive a bag of groceries to practice what they learned in class on their family. The class is free and participants register ahead of time. 15 students registered in 2016 and 14 in 2017. 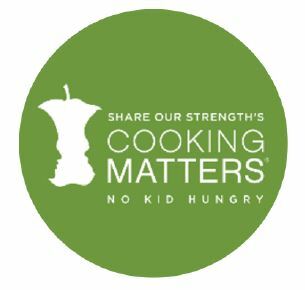 Developed by the national program, Share our Strength, Cooking Matters is a program to help children learn how to make healthy meals at home and is part of the No Kid Hungry Campaign to end childhood hunger in America. Locally, Cooking Matters is supported through the Wyckoff Family Foundation, FoodLink, Cornell Cooperative Extension of Wayne County, Eat Smart NY and St. Peter’s Episcopal Church. The Cooking Matters Program uses skills-based lessons to develop hands-on familiarity in three dimensions that promote healthy eating on a budget including: healthy eating, food resource management, and food & kitchen safety. Teens learn how to eat healthier on a limited budget, including how to integrate fruits and vegetables into their diet and how to do it economically. Teens demonstrate how to make healthier snacks for themselves and spend less money on healthy food. Also, teens demonstrate safe practices for food preparation ranging from proper knife use to basic food preparation techniques. The program is supported by 7-8 volunteers from Hobart William Smith College and from St. Peter’s Church.